I am not able to login to the portal, my username and password isn’t working. I received a reduced tuition contract, but am still unable to afford to pay the tuition amount. How can I renegotiate my contract? I used a credit card to pay for my registration fee but would like my tuition payments to come from my ACH. I would like to pay my tuition by check and don’t see that option on the portal site. 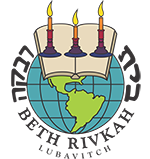 My employer will send tuition checks directly to Beth Rivkah. Do I need to enter a form of payment and select a payment plan? How much is Beth Rivkah tuition for the 2019-2020 school year? What happens if I register my daughter after June 16, 2019? If you have forgotten your username or password please click to reset your username or password through the portal. If you have an outstanding balance due for prior years’ tuition, you must resolve the issue by setting up a payment plan to cover your previous balance. Once resolved, you will be allowed access to the portal and can begin registration for the new school year. Please contact the Registration office at 718 735 0745 Ext 1313 to make payment arrangements. Click here to complete a questionnaire that will help us determine what your needs are and how we can assist you further. Please click here and provide information for preferred method of payment. An email will be sent to notify you once your account has been updated. Yes, you must select a payment plan and enter your prefered method of payment. This will serve as a secondary form of payment in the event that your employer fails to make payments on your behalf. In addition please inform us of your intention to establish direct payment from your employer to Beth Rivkah so that we know to expect payment and avoid charging your account. Click here to submit your information. Please understand that you are responsible to cover your daughter's tuition, and must be in contact Beth Rivkah’s registration office should any issue or changes arise with your payment arrangement. Any student who is not fully registered by June 16, 2019 will be charged an additional $200 fee to reopen registration. This also applies to those who have begun registration prior to June 16, 2019 but have not finalized and selected a payment plan by the above deadline.